“By its nature, black absorbs all visible radiation and does not reflect any light. In this original interpretation of our “All Black” concept, Hublot is once again playing with received ideas. 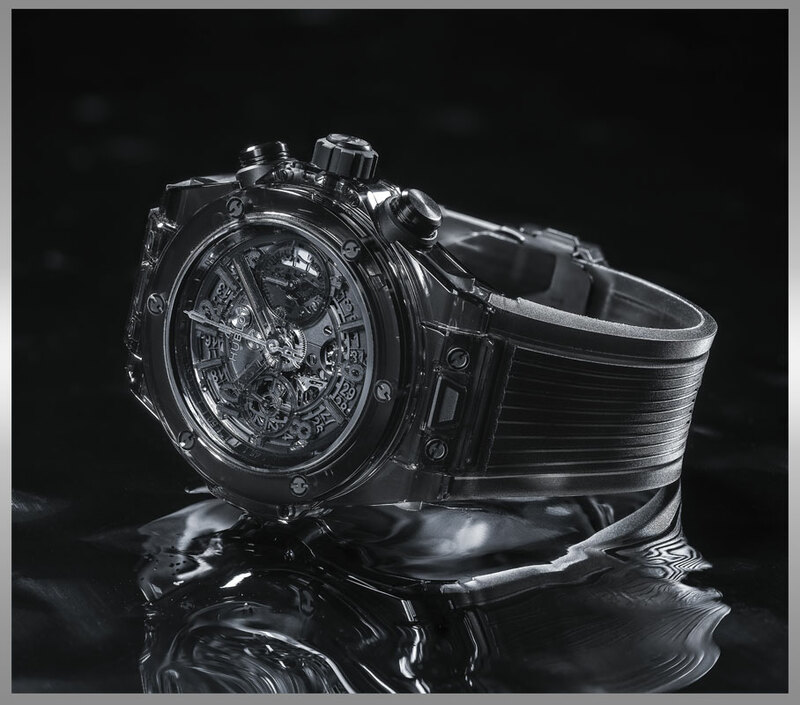 The Big Bang Unico Sapphire All Black is both transparent and completely robed in black. What is more, it does not absorb light. In fact, it lets light pass through. It embodies the dichotomy of the visible and invisible, the seen and the unseen”. Exploring new ground, pushing back boundaries and taking on the impossible, the history of Hublot is punctuated with firsts and patents. True to its motto of “there is no future without innovation”, it proves that technological progress is the fruit of experience, curiosity and the desire to constantly move forward. Difficulty is a challenge that motivates the brand and its teams. Following the exclusive presentation a few weeks ago of the Big Bang Unico Sapphire – a timepiece entirely made from sapphire which required months of development and multi-million investments – Hublot is doing it all again by presenting a piece so bold it is verging on impertinent. It is combining opposites – the visible and the invisible – in a piece which expresses the very essence of its All Black concept. As 10 birthday candles are lit for the “All Black” concept, this is a worthy tribute to the pioneering and acclaimed monochrome icon.